Our pewter comes in various sized ingot chucks. 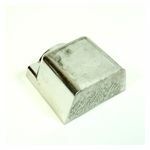 Each piece of pewter can ONLY BE ORDERED ONCE since each piece comes in a different size. If you need more than the one piece simply select another from the list and add it to your cart. All prices are based on $30.00/lb. 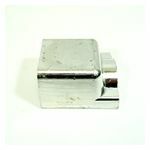 Alloy LOR8 92% Tin 7% timonium 1% Copper Melts @ 500-550 degrees.